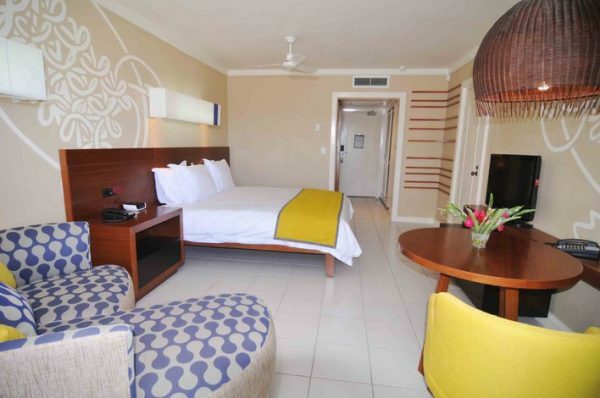 Welcome to Le Meridien Port Vila Resort & Casino! 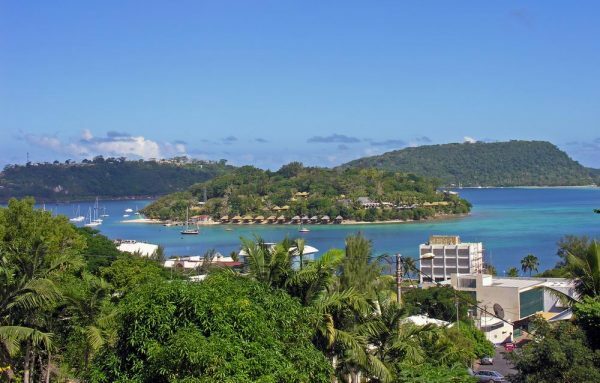 Dominating the Erakor Lagoon and its private island, the Le Meridien Port Vila Resort and Casino is the abode of the only International casino of the Port Vila. The resort is one of the best destinations as a fun-filled hideaway on the South Pacific. 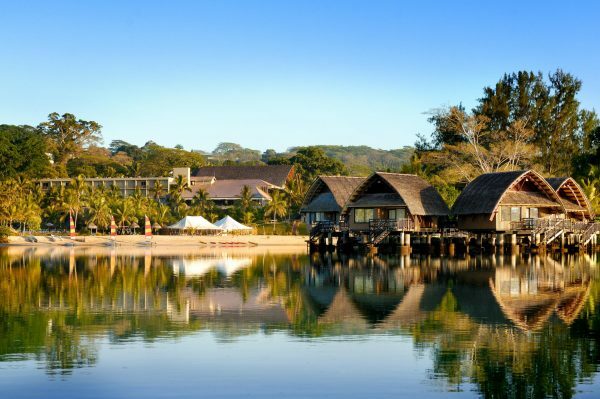 It never fails in attracting visitors each year due to its amazing Vanuatu architecture, airy accommodation, 10 lavish bungalows, and the largest swimming pool making the resort the only authentic five star structure. The hotel offers all the possible advanced amenities that you can imagine in a five star resort. These include 24-hour front desk and concierge desk, bellman and porter, beauty salon, business centre and secretarial service, car rental desk, currency exchange, doctor on call, express check in/check out (on request), gift shop, multilingual staff, non-smoking rooms, and outdoor parking. Note: For children below 12, there is no cost if they share the room with parents without any additional beds. You have a variety of options to choose from. The Standard King refers to the room on the Banyan or Seaside wing exhibiting the alluring Melanesian culture with wooden furniture and King-sized bed. The bathroom is equipped with a shower, hair dryer, and other bathroom facilities. Also, expect controlled air conditioning, sliding doors, balcony or veranda, TV with in house movies and Australian TV, fridge, coffee and tea making facilities, iron and board, and cupboard space. In the same zone is the Standard Twin reflecting the same Melanesian culture with a Queen and Double bed. Whatever amenities are offered by the Standard King, expect all of them here too without any changes. If you are interested with a view of the tropical garden, book for a Garden View room. You can also go for twin room with queen and double bed, single/double king bed, maximum two adults, two children, or three adults. If you hate smoking as health conscious human, there are non-smoking rooms on the 3rd floor of the Banyan wing and on the 2nd and 3rd floors of the Seaside wing with ironing board and hairdryer. The Lagoon View rooms are for the stunning Erakor Lagoon views. These rooms are more airy as compared to the Garden View rooms and offer balconies with outdoor furniture. Other features of the Garden View rooms apply here too. The 10 Lagoon Bungalows are on the resort’s own private island, Erango, which are quite amazing with the distinct Melanesian architecture. Each of them offers master bedroom with one king bed, large lounge area, private sun deck with outdoor furniture, air-conditions, fans, a minibar, 24 hour room service, and access to the lagoon. Further, bathroom has a big spa bath with a separate shower and toilet. Each bungalow has the capability of accepting only two adults. Only seven of them offer direct Lagoon Access from the Balcony along with an outdoor sun deck shower. One bedroom Suite provides views dominating the Erakor Lagoon. The room has single/double, one king bed with sofa bed. Also, there are rooms with a dining table for four persons with fixed toilet and airy lounge area. In all these rooms, the amenities are 24-hour room service, air conditioning, alarm clock, showers over bath, cable movies, full-length mirror, hairdryer, international direct dial telephone, interconnecting rooms, iron and ironing board, laundry service (no dry cleaning), refrigerator, remote-controlled cable television, satellite television, smoke detectors, tea and coffee making facilities, turndown service (in Bungalows), voltage 240, and wake up call. You need to take a flight to reach the primary airport of Port Vila called the Port Vila Bauerfield (VLI). This is situated at a distance of 12 km (7 miles) from the hotel, which you can cover in 15 minutes via road. From the airport, the hotel is in the west direction. You need to catch a taxi from the airport to reach the hotel and the average one-way cost is $6. Even from the hotel, you can catch a taxi to reach the airport. Both the airport and hotel offers car rental desks. If you are looking for a regular shuttle service, you can request the hotel for this so that the staff can organize it for you. Most Effective Ways To Overcome Mobility Aids Problem.